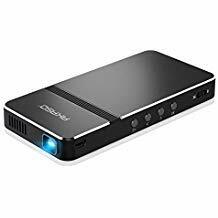 â–²Compact, Light Weight&Versatile: This mini projector is compact and lightweight design with 5.51*2.71*0.62 inches and a weight of just 0.46 lb. 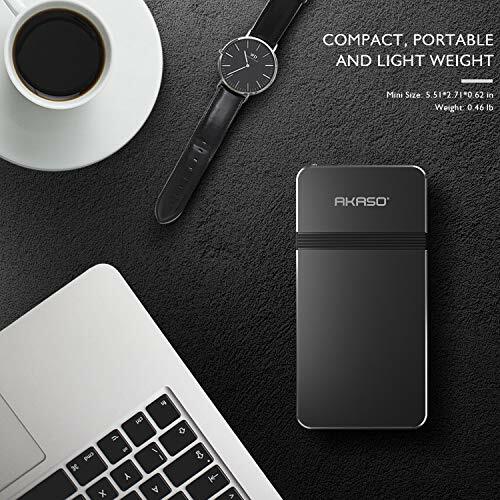 It is pretty convenient and portable to be carried along in your pocket wherever you go, ideal for outside activities like small meetings/ gatherings or gaming time. 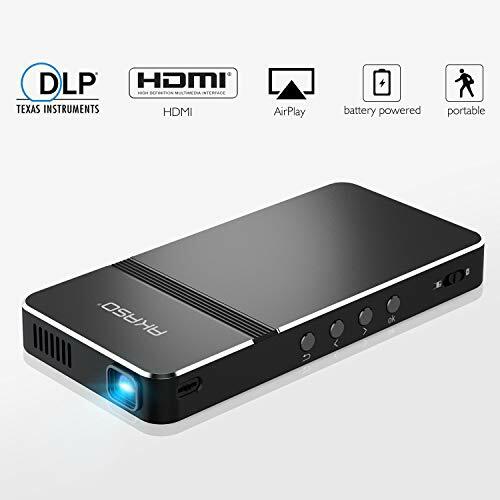 â–²Multiple External Connectivity Multi-Screen Sharing: This mini projector can be compatible with various devices with USB, HDMI, AV, and Micro SD port is available, perfect for playing videos, TV series, photos sharing, football matches etc. 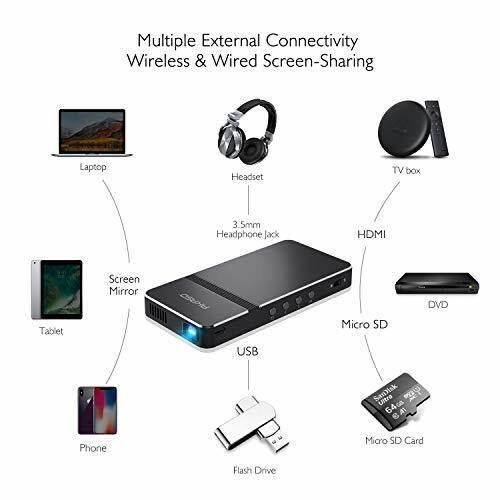 It can be easily connected with your smartphone, PS3, PS4, X-Box ONE to enjoy BIG games. 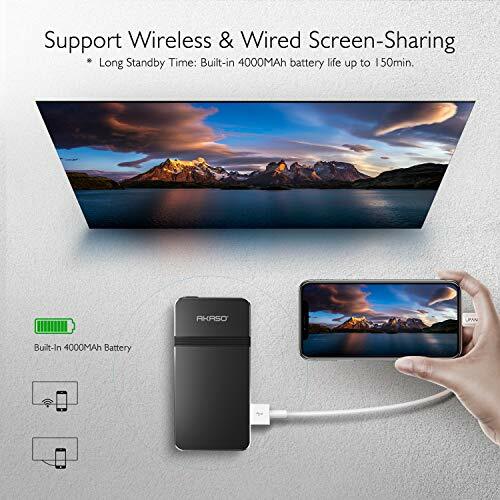 â–²High Capacity Built-in Battery of 4,000mAh: The internal 4,000 mAH rechargeable battery allows it to play a movie for more than 2 hours without charging, whilst the RGB LED lights have a super service-life of up to 30,000 hours,very convenient for outdoor use. 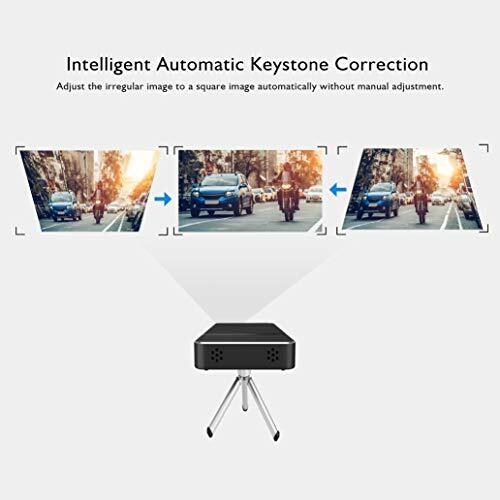 â–²Vibrant Color&Shape Image: Enjoy our pico projectorâ€™s vibrant color and crystal-clear image with a max resolution of 1080p.Â You can adjust the picture size from 15 to 130 inch (Best for 80 inches). Projection distance is from 1.6 ~ 10 ft (Best for 5 ft). 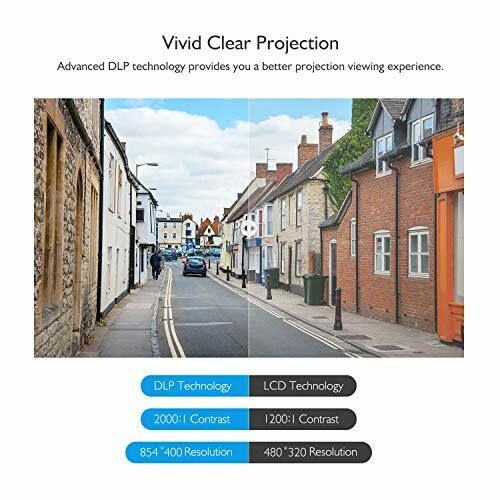 With 2000:1 high-contrast ratio, the mini projector can let you enjoy clear and bright images on a big screen. â–²Risk-Free Warranty & Local Customer Service: AKASO provides a 12-month manufacturer warranty for this product. If you're not completely satisfied with your purchase, please let us know via email or phone call, and we'll offer a refund within 30 days of purchase or replacement within the first 3 months. This way, our customers are guaranteed a risk-free buying experience.